Creating and editing music on a computer is possible provided we have the tools and talent for it. Wavosaur free audio editor is a free and complete audio editor. Editing: Wavosaur free audio editor allows editing audio files. Users are allowed to cut, copy or paste files. It supports several file formats such as mp3, wav, aif, aiff, vorbis and more. Treatment: it is possible to process audio files. Users can for example convert a stereo file to mono and vice versa. Moreover, they can also insert silence or normalize the volume. Several other editing processes are available. Applying effects: applying effects on the files is possible. To do this, users just have to install the VST effect. Combining and joining multiple effects is possible. Each user can create combined effects and save them for later use. 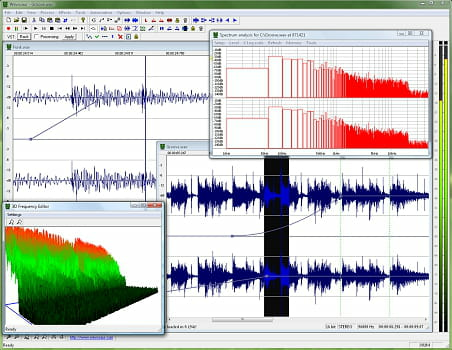 Analysis: Wavosaur free audio editor has all the tools needed to analyze a file. For example, there is the RMS power. The frequency analysis can be done in 2D or 3D. Wavosaur free audio editor is easy to handle. Some audio formats are not supported. Latest update on June 8, 2016 at 08:19 AM.